When will be Hi-5 House next episode air date? 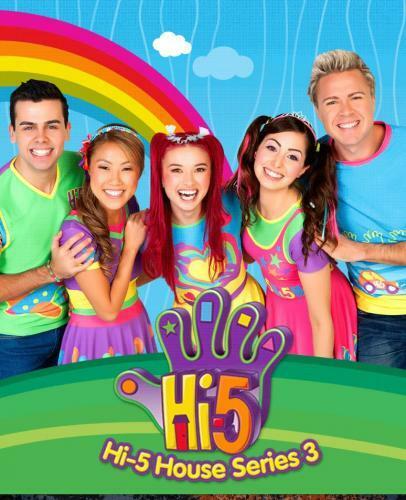 Is Hi-5 House renewed or cancelled? Where to countdown Hi-5 House air dates? Is Hi-5 House worth watching? Hi-5 House is an Australian children's television program, a spin-off of the original Hi-5 series, which originally debuted in 1999. The series stars the internationally popular children's musical group Hi-5 and holds strong educational values while entertaining through music. Hi-5 House was filmed in Singapore (Series 1) and Malaysia (Series 2-3), the original series having only ever been filmed in Australia. The series debuted on Nick Jr. Australia on 4 November 2013 before making international premieres. The Nine Network renewed its partnership in with the Hi-5 franchise in October 2016 and announced its plans to revive the original Hi-5 with a new cast in 2017. Hi-5 House next episode air date provides TVMaze for you. EpisoDate.com is your TV show guide to Countdown Hi-5 House Episode Air Dates and to stay in touch with Hi-5 House next episode Air Date and your others favorite TV Shows. Add the shows you like to a "Watchlist" and let the site take it from there.